The New BEC Handy Feeder has a capacity of 12 kg and is comprised of Feed Tray, Feed Tube, Indoor Lid, Feed Flow Adjuster and an Ergonomic Carry Handle that doubles up as a Hanger. 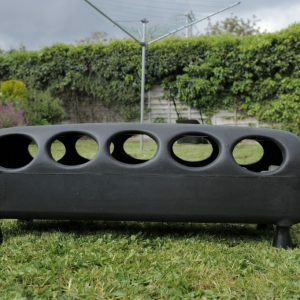 The Ultimate version has a Tube with a finned base, to reduce wastage, and a set of four push fit legs. This 12kg feeder is ideal for use both indoors and outdoors; even with its large capacity it can be used free standing or hanging. The Ultimate Handy feeder is very well built and is made from very high quality plastic; this means that it is suitable for all types of birds including chickens, pheasants and waterfowl. 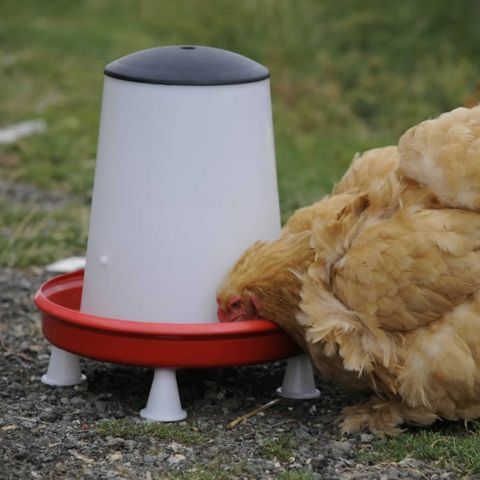 Although quite a large feeder it is ideal for all poultry keepers, the design incorporates feed flow adjustment by the internal threaded handle making the feeder suitable for all types of feed. The handle also acts as the support from which the feeder can be hung. The central hole in the handle allows the feeder to hang straight and level preventing the feed from being wasted by the feeder tipping over. Suitable for out door with optional rain hat. 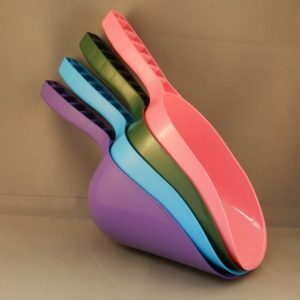 Be the first to review “12kg Ultimate Handy Feeder” Click here to cancel reply.